If you are thinking about buying a food dehydrator, received one as a gift, or you just want to expand or improve your palate, we are here to help. 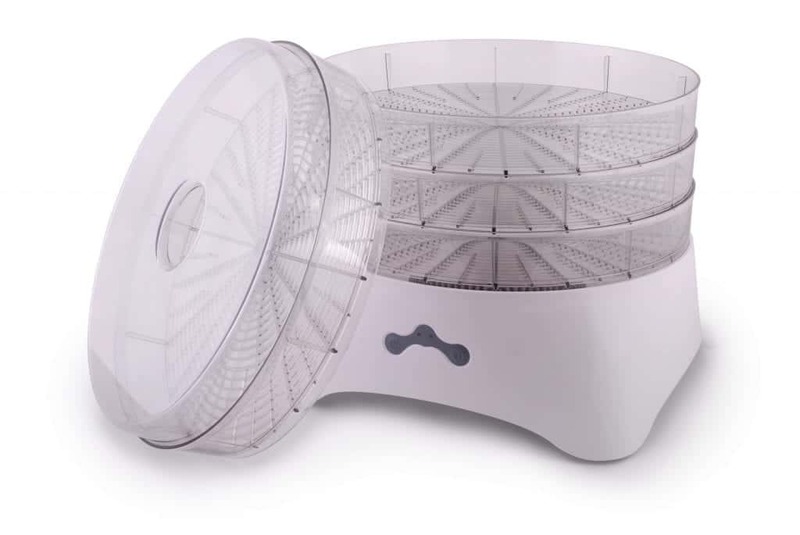 You may have been asking: What can I do with a food dehydrator? We will give you a few useful tips and tricks to answer that very question. 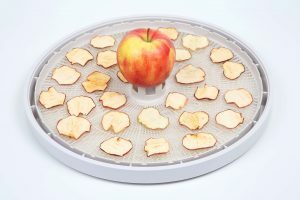 You can learn the benefits of a food dehydrator and see what it can do for you right here. The obvious thing is, of course, that you can dehydrate food with one of these units. But this simple function can do much more than just get the moisture out of things. This is its core feature, but with this device, you can create a wide variety of snacks and treats, dried herbs and even art projects. It is a great way of creating snacks from raw food. It keeps the enzymes intact so get all the nutrients from fresh food and the warm feeling of tasty snacks at all once. But let’s take a look at some of the main things you can do. Food dehydration is a method of preserving food that is thousands of years old. But just because it is an old method does not mean it should be discarded. 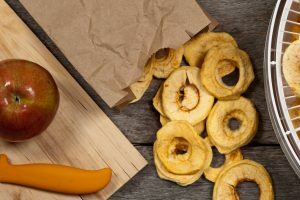 A food dehydrator is a handy device to have in your kitchen if you frequently have too much fresh produce and have a lot of food waste. If you have a vegetable garden, it will be an excellent addition to your toolkit. 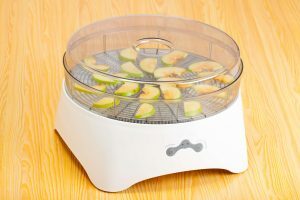 If you have a harvest that is too large to use before the food spoils, you can use your food dehydrator to preserve it, and use it later in different recipes or as snacks. 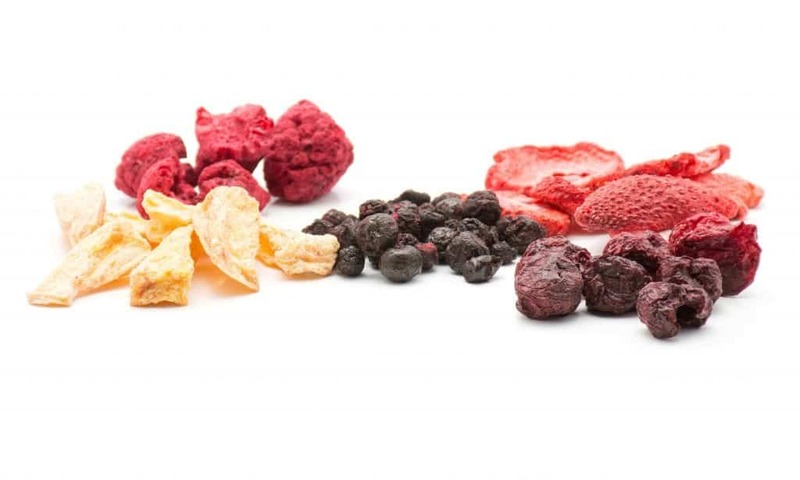 One of the easiest things you can make with a food dehydrator is dried fruit snacks. 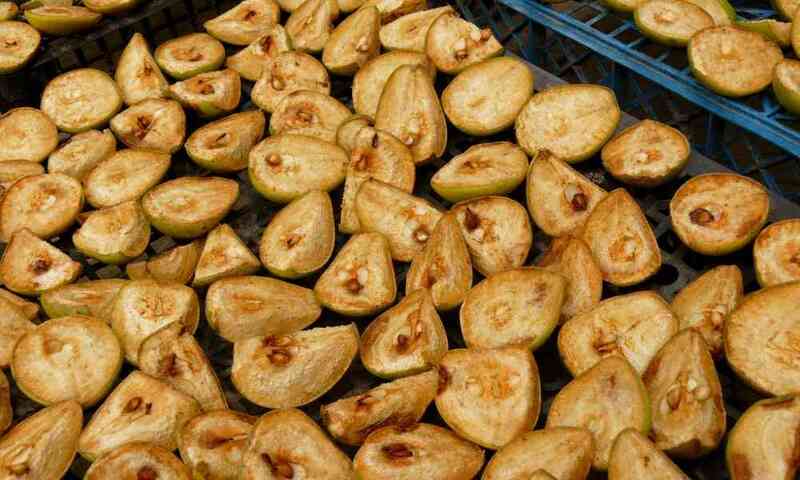 But you don’t have to stop with dried peaches or apple slices. 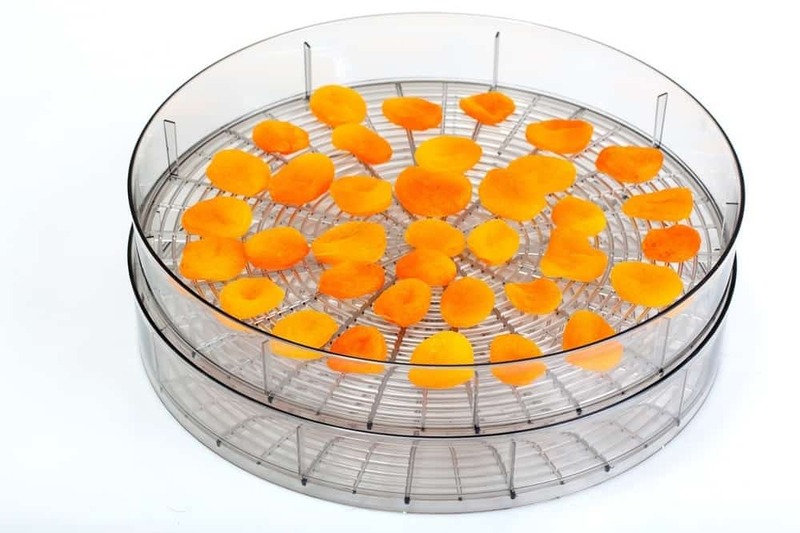 Of course, this is the easiest way to start, cut your fruit into slices and place it on the trays of your dehydrator. Follow the instructions for the right temperature and time, and there you go. You can also do more; you can make your own dried fruit rolls or leather. 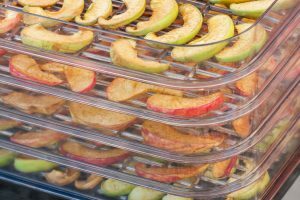 Some dehydrators have special trays already included so you can easily make your own fruit rolls. There are many recipes available. You are only limited by your creativity. An easy way to make a fruit roll up is to start with a basic smoothie with your favorite ingredients. 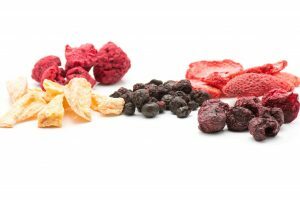 Just like the fruit, you can easily dry vegetables for tasty snacks. But you can also dry things like peppers and herbs to create dried spices that you can use in a variety of dishes. You can also rehydrate these foods in stews or soups. Another healthy snack you can make is Kale chips. You can add some spices to raw kale and then dry the strips in your food dehydrator for delicious, healthy chips. 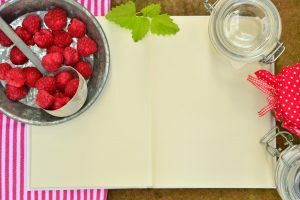 There are thousands of recipes available for you to enjoy. 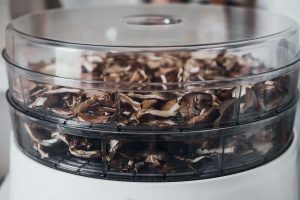 A traditional use of a food dehydrator is to make your own jerky (from beef, but also chicken, turkey, and other meats). Jerky requires a higher temperature than fruit and vegetables when drying, so take a look at the temperature settings of your dehydrator. Luckily, most of them will have temperature charts that you can check to ensure that you get the results you want. You can make jerky for your dogs, but you can also save quite a bit of money by making treats for your dogs at home. Here your food dehydrator will be a handy tool as well. You can easily make treats by using chicken strips with a few spices, or sweet potato or slice some liver and dry it as you would jerky. You can even use canned dog food, make little balls that you dehydrate, just like you would berries or other round fruit. There are many options available. 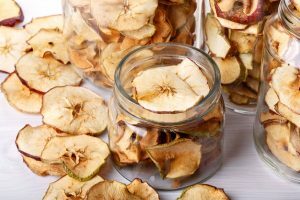 If you still want more out of your dehydrator, why not create your own potpourri? You can use flowers that have a pleasant scent but no longer look good in a vase. Roses work well for this. But you don’t need to stop there, you can also use it to dry papier-mâché, clay or plaster-of-Paris art projects. Your creativity is the only limit. 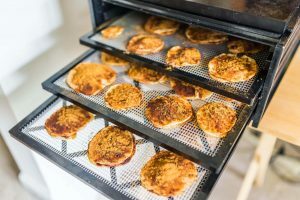 In this piece, we have tried to give you some more ideas about how to use your food dehydrator. There are a huge variety of options available when it comes to things you can make with it. Anything from traditional dried fruit, beef jerky but also art projects, and dog treats can become part of your food dehydrator repertoire. Enjoy your dehydrating projects and the results of your ideas!